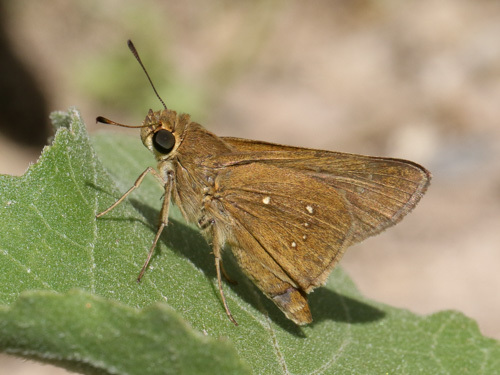 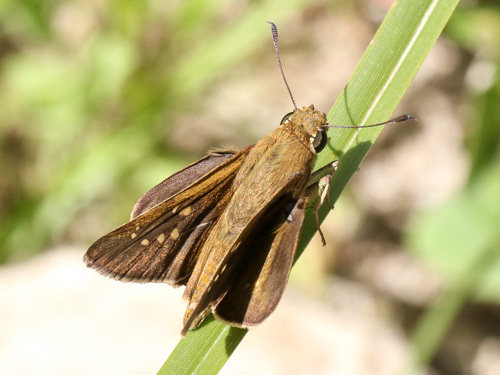 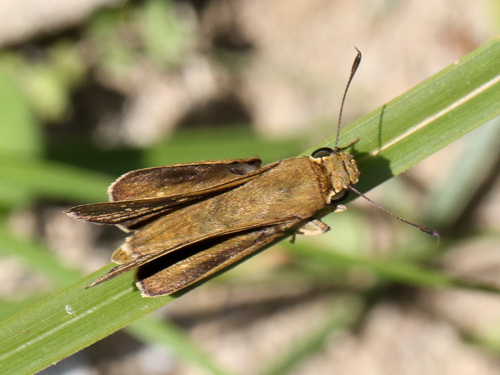 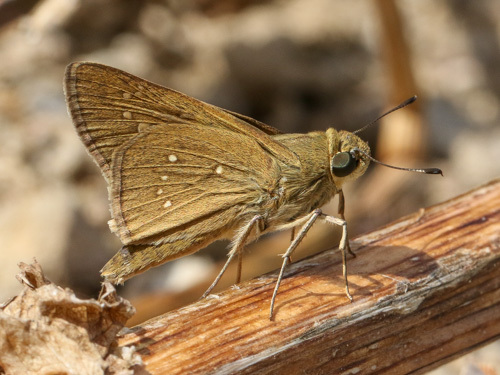 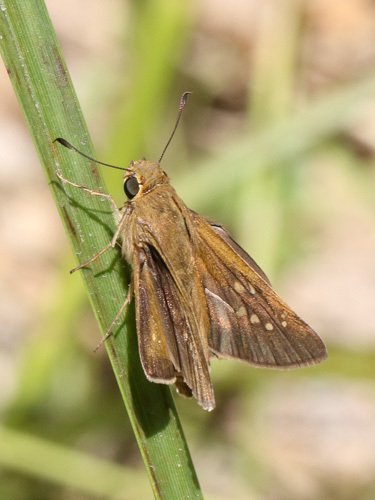 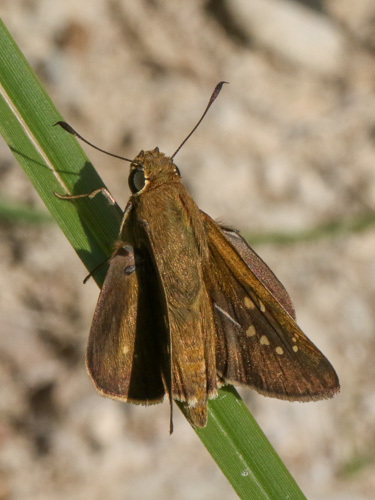 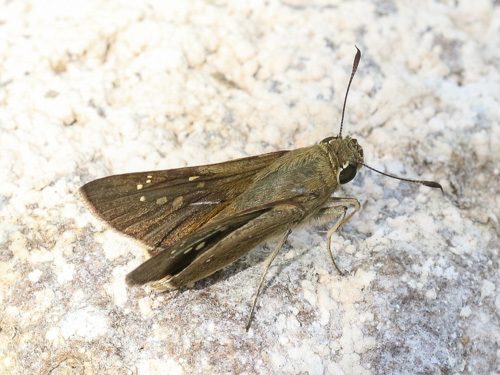 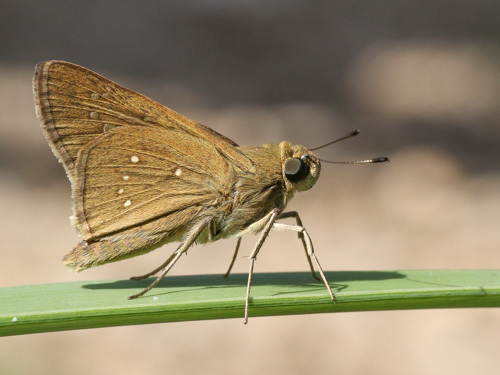 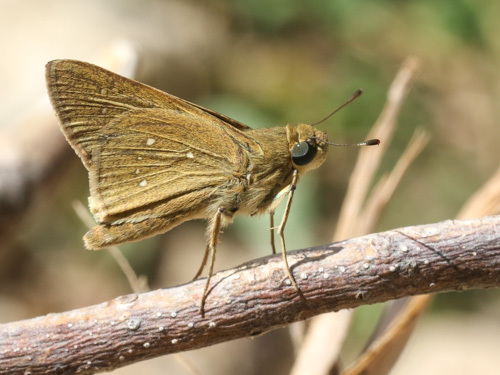 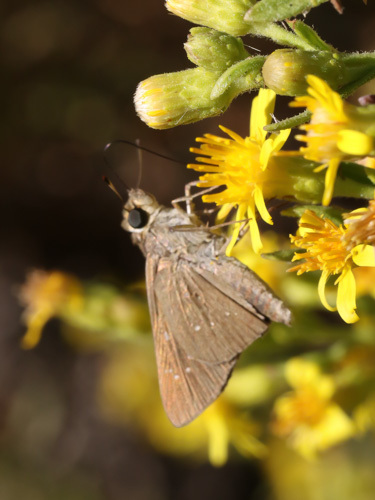 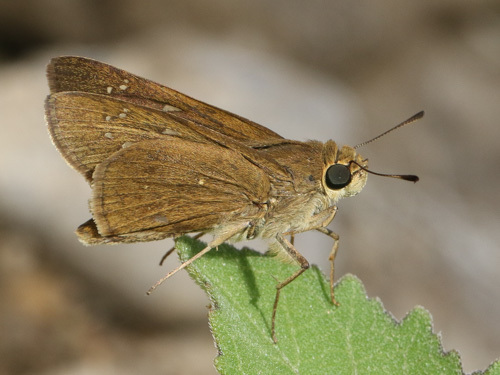 A large skipper species found in eastern Aegean islands. 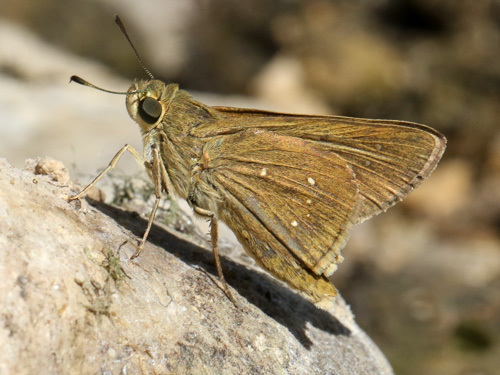 Identification & Similar species: It resembles the Gegenes species, of which only pumilio, pygmy skipper, is confirmed from the eastern Aegean. 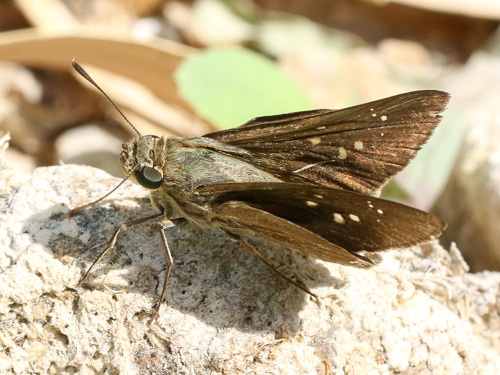 It is separated from this species by the bold white markings on the underside and the strong scent brand on the male upperside forewing. 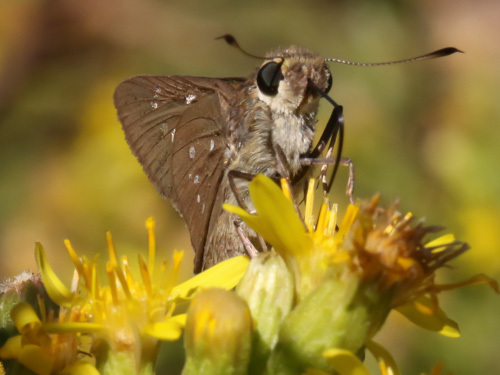 Distribution & Flight: From the eastern Aegean islands (Lesbos, Chios, Samos, Simi, Rhodes etc.) 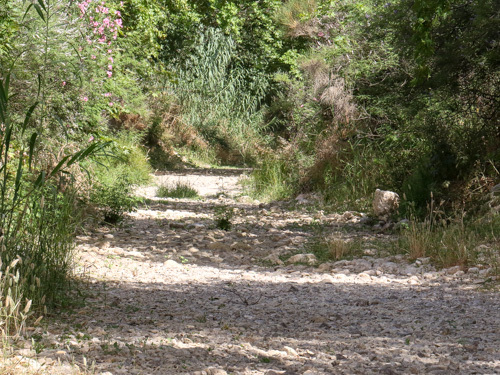 and Cyprus. 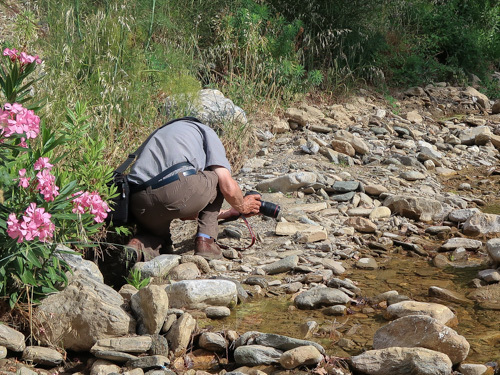 It is resident, but possible reinforced by movement from continental Turkey. 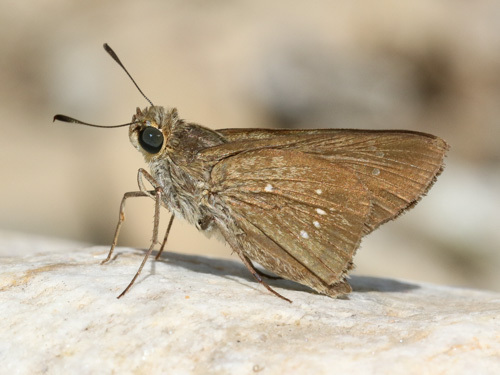 It flies in a number of broods throughout the summer months, reportedly commoner later in the season. 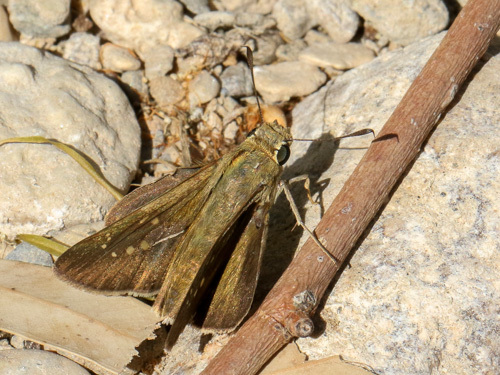 I've found it in April (Cyprus), June (Samos) and October (Rhodes). 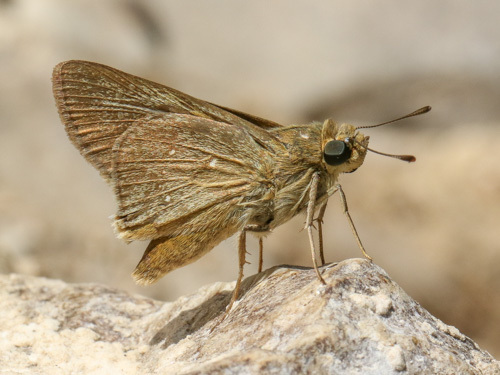 Habitat & Behaviour: Flies very rapidly along river beds (which are usually dry in the summer months). 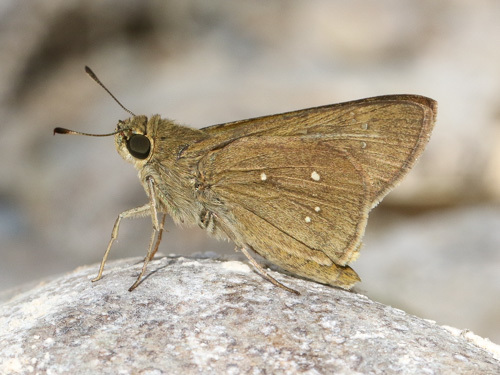 Males are territorial and will defend their stretch of river bed, their territory often defined by shade from trees. 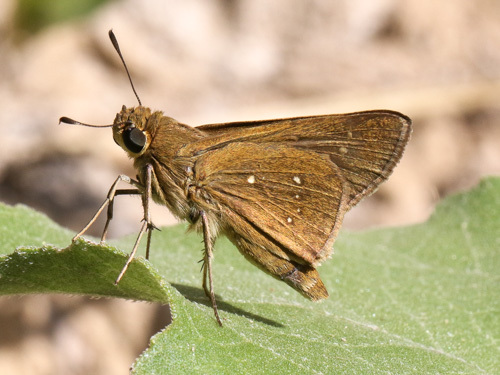 I've never found a female so they presumably are rather more sedentary.